Paul Gillis became fascinated with caves when he was a teenager living in Kentucky, but he never met up with any real cavers until he was in his mid-twenties. In 1982 he joined PSC, as well as D.C. Grotto and the NSS. He enjoyed more than 20 years of active caving with these new friends, exploring, surveying and taking photos of the underground. 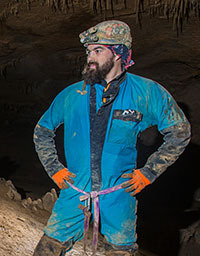 Nowadays he considers himself an “armchair caver,” doing his bit to keep PSC going as an active club and enjoying the opportunity to hang out with other cavers. Edgard Bertaut has been actively caving since the late 1990s and joined PSC in 2004. He was drawn into caving first by tourist trips and then by the Gangsta Mappers Cassell Cave project. Since that time, most of his caving has been survey trips into Memorial Day Cave, along with the occasional tourist trip. From short trips with beginners to serious project caving, it is all caving and it is all fun. Dave Smallwood has been striking heroic poses in caves throughout the Virginia region for longer than we can remember. 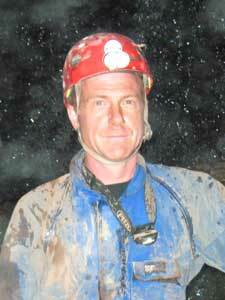 He is dedicated to finding new cavers & introducing them to the fascinating world underground.